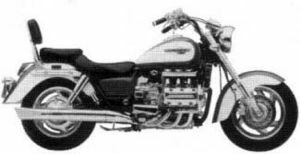 The Honda GL1500C is a motorcycle produced by Honda from 1988 to 2000. 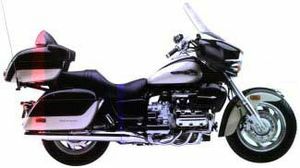 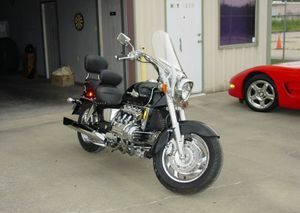 The Honda Valkyrie (designated GL1500C) was introduced in 1997 in an attempt to be the ultimate cruiser. 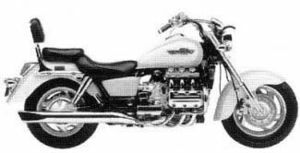 While other motorcycles boasted two or four cylinders, the Valkyrie engine was a special tuned horizontally opposed six cylinder displacing 1520cc and had 6 carburetors. 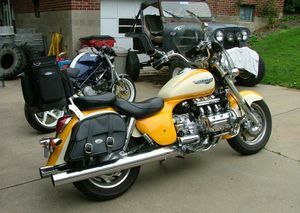 The engine is similar to Honda's Gold Wing (GL1500). 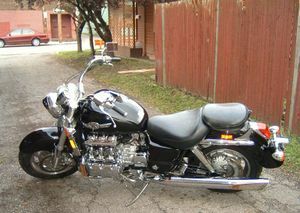 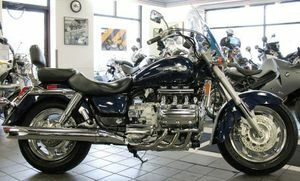 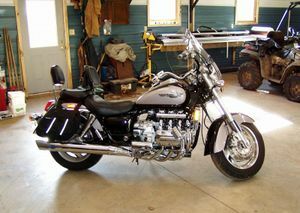 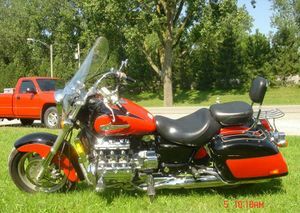 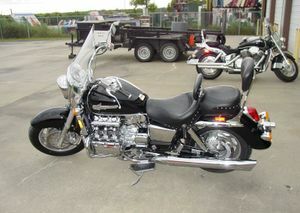 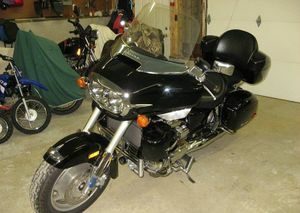 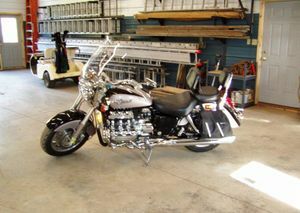 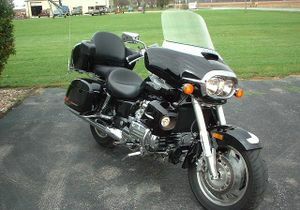 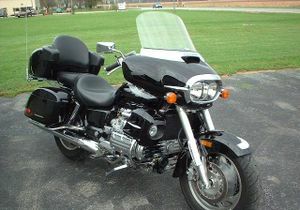 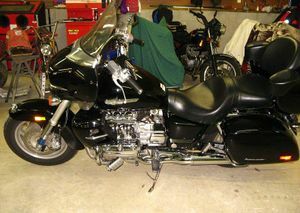 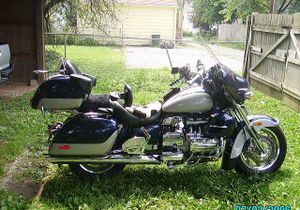 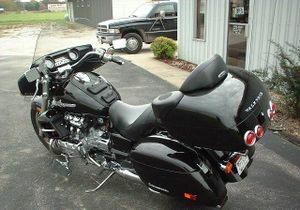 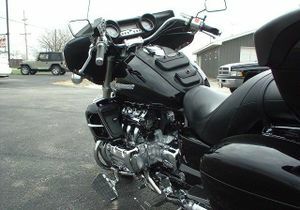 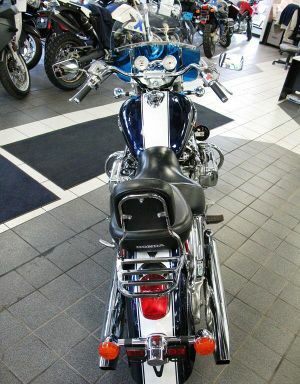 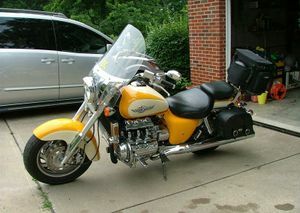 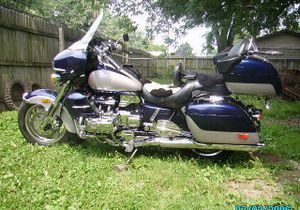 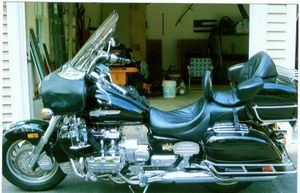 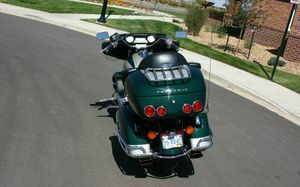 The Interstate version of the Valkyrie was introduced in 2001 featuring rear saddlebags and trunk box. 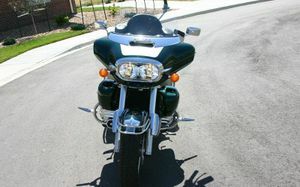 As a touring bike, the Interstate increased its fuel capacity by six liters. 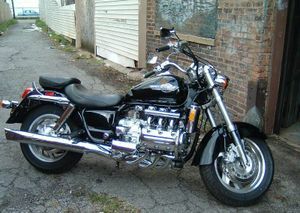 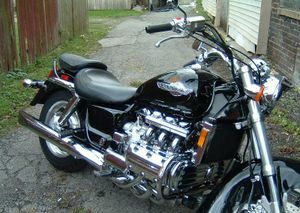 The 1500cc Valkyrie was replaced in 2004 by the Valkyrie Rune (NRX 1800). 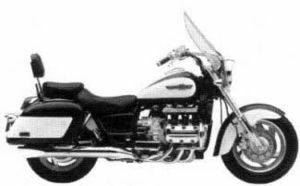 The GL1500C'97 Valkyrie was sold in 1997 in one of four color schemes: Black, American Red with Pearl Glacier White, Pearl Majestic Purple with Pearl Glacier White, or Black with Pearl Hot Rod Yellow. 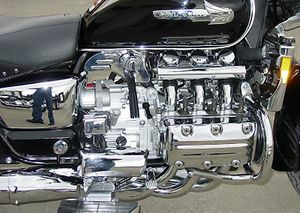 The engine was a special tuned horizontally opposed six cylinder displacing 1520cc and had 6 carburetors. 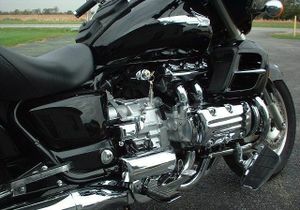 The serial number began 1HFSC340*VA000001. 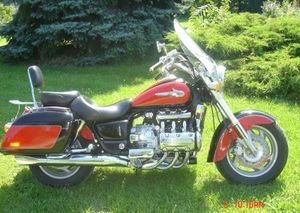 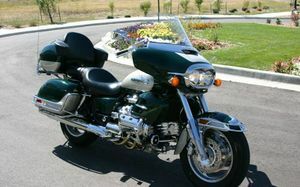 The GL1500CT'97 Valkyrie Tourer was sold in 1997 in one of three color schemes: Black, American Red with Pearl Glacier White, or Pearl Sonoma Green with Pearl Ivory Cream. 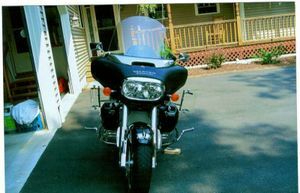 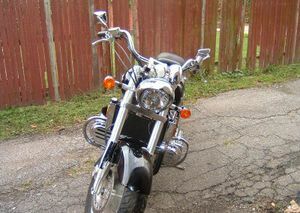 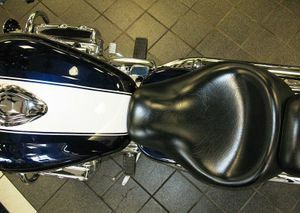 The windshield and hard saddle bags were standard equipment. 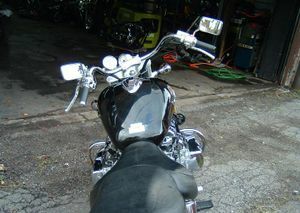 The serial number began 1HFSC343*VA000001. 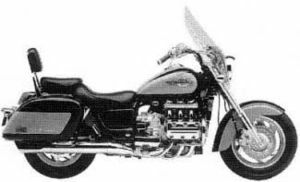 The GL1500C'98 Valkyrie was sold in 1998 in one of four color schemes: Black, Pearl Coronado Blue with Pearl Ivory Cream, Blaze Yellow with Pearl Ivory Cream, or Pearl Sedona Red with Pearl Ivory Cream. 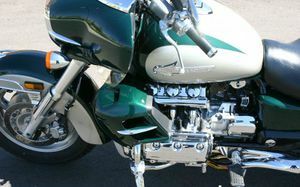 The serial number began 1HFSC340*WA100001. 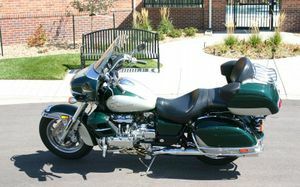 The GL1500CT'98 Valkyrie Tourer was sold in 1998 in one of three color schemes: Black, Black with Pearl Jade Green, or Pearl Sedona Red with Pearl Ivory Cream. 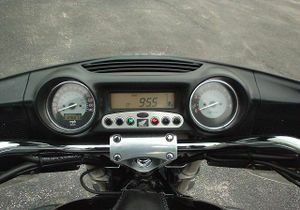 The serial number began 1HFSC343*WA100001. 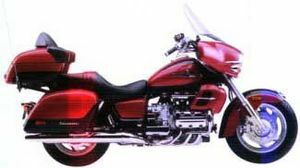 The GL1500CF'01 Valkyrie and Valkyrie Interstate was sold in 2001.